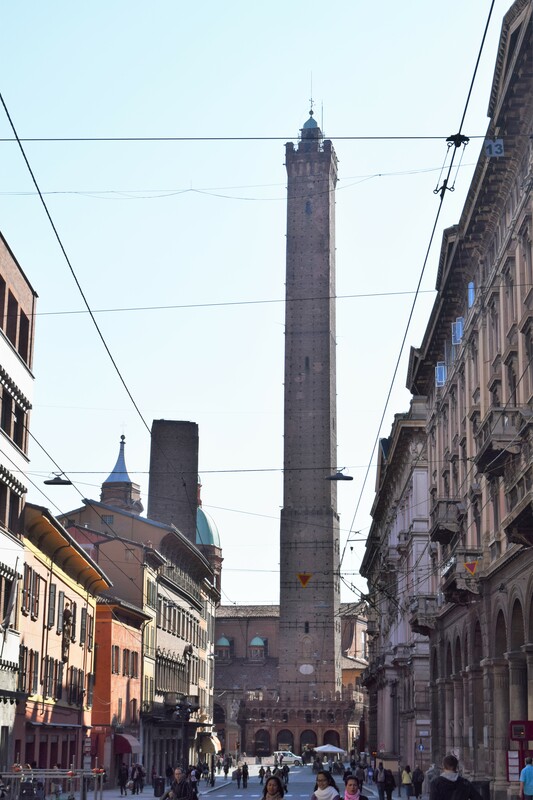 These towers, or as the Italians say “Torri’s” are the symbol of Bologna and a landmark that stood out against the sky for those who came from Ravenna and via Emilia from the south. This Piazza di Porta was the point of arrival and departure for those in the past. The shorter one is called Torri Garisenda and the taller, Torri Asinelli. The names come from the families that built them. They stand in the Piazza di Porta Ravegnana. The leaning is a drop of 2,23 meters. The Tower Garisenda leaned so much that is had to be partly demolished at about 39 feet (12 meters) and restarted. The drop or lean is about 3,4 meters. 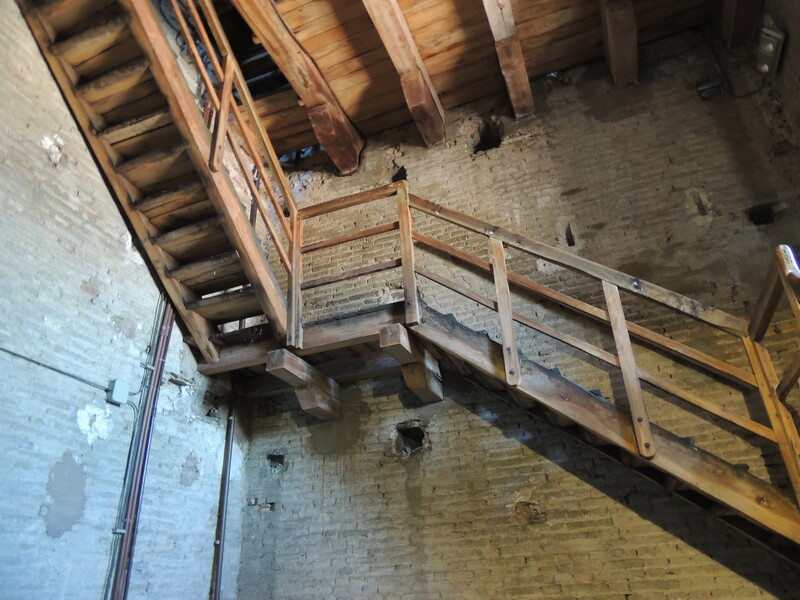 The picture from our guidebook below shows how much Tower Garisenda leans! The Statue of San Petronio, patron Saint of Bologna stands in the square with the towers. Views from the 295 feet high Tower Asinelli are amazing and worth the 498 steps to climb to the top. This is how you have to get up to the top. 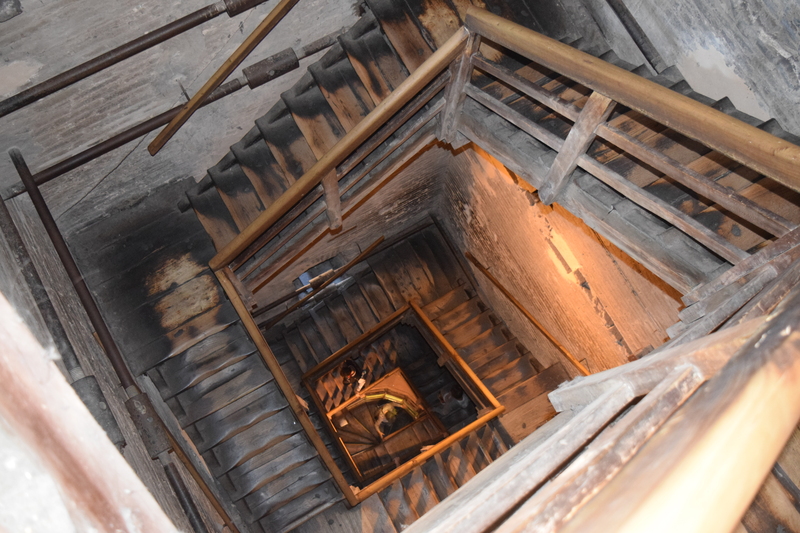 All 498 steps! Subscribe to our blog for new weekly posts!